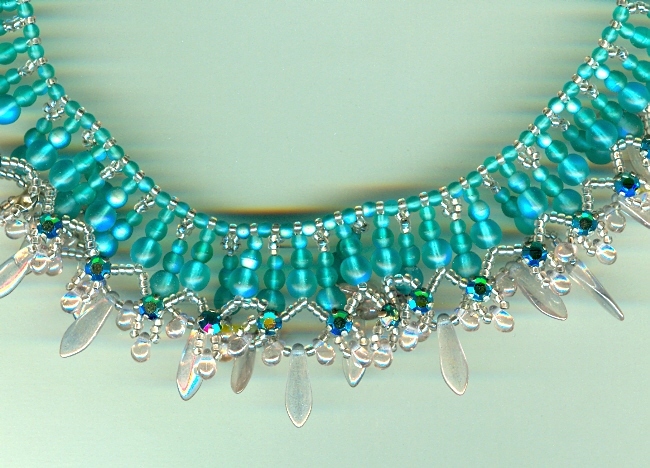 This unusual handmade collar features two layers of frosty matte peacock green glass beads with fringes of shiny pale pink drops and daggers. The top layer is ruffled with vintage emerald green crystal roses montees, tiny prong set rhinestones originally meant to be sewn on garments. 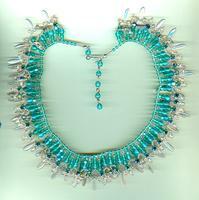 The hook-and-extender closure gives the necklace a working length of from 17 to nearly 19 inches. 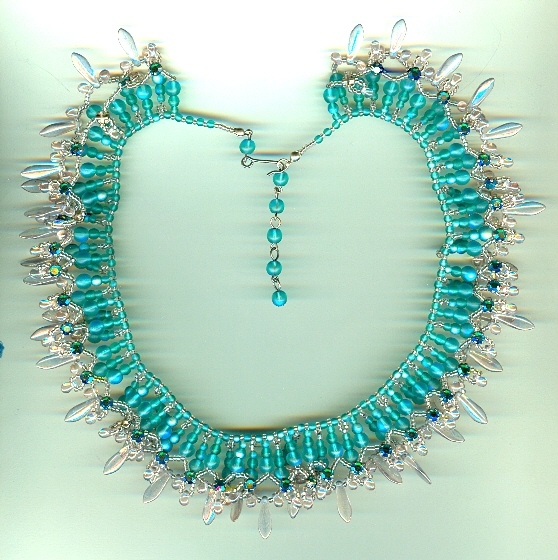 It?s a spectacular bit of eye candy, from SPARKLE PLENTY, of course.